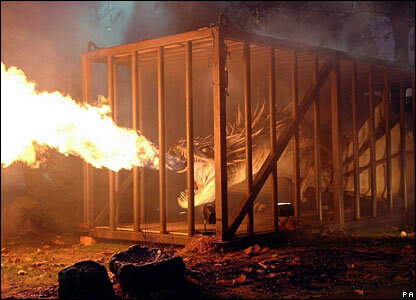 Fans waiting for the stars to arrive at the world premiere of Harry Potter and the Goblet of Fire were treated to the spectacle of a huge fire-breathing dragon. Emma Watson (who plays Hermione) wore a vintage 1920s dress. She said the atmosphere in London's Leicester Square was "amazing and completely overwhelming". Rupert Grint (Harry and Hermione's friend Ron) braved the rain to chat to some of the thousands of fans who had gathered outside the Odeon Leicester Square. Actress Katie Leung (seen here with Daniel Radcliffe) plays Hogwarts newcomer Cho Chang, who catches the eye of Harry in the new film. 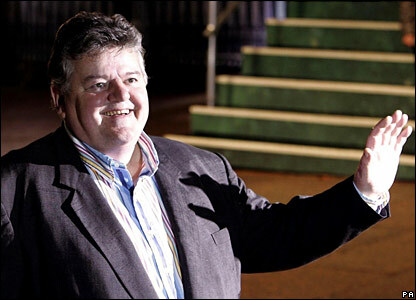 Actor Robbie Coltrane also attended the premiere. He returns for a fourth time as Hagrid, the giant among the staff at Hogwarts Academy. Actress Miranda Richardson makes her Harry Potter debut in the Goblet of Fire, playing devious reporter Rita Skeeter. Madonna made an appearance on the red carpet, accompanied by her nine-year-old daughter Lourdes. 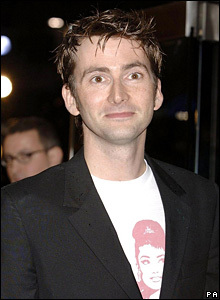 The new Doctor Who, actor David Tennant, also turned up. 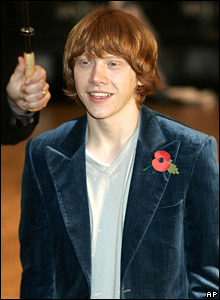 He plays Barty Crouch Junior in the Goblet of Fire, which is released in the UK on 18 November .